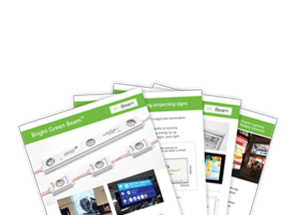 Bright Green Beam specified for bespoke museum lighting to bring Sherman Tank to life! Studio MB were commissioned in the renovation and development of the York Army Museum in May 2015. One of the highlights of the exhibition included a life size Sherman tank, similar to those used by Allied forces on D-Day, June 1944. 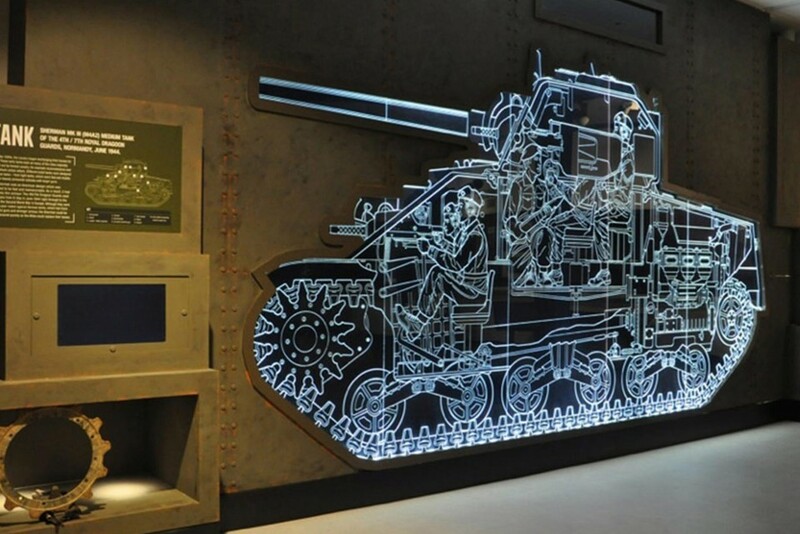 Our bespoke museum lighting system utilised directional LED’S to illuminate a sheet of etched acrylic, showing the cramped confines and contours of the tank in which crew operated. After supporting Studio MB in the design and prototyping stages of the project, we worked with the client to provide a lighting system in order to get the desired effect. We supplied our Beam edge lighting system, complete with full DALI dimming control to be integrated in to the building management system. The LED system which was installed along the top and bottom of the tank, offering consistent luminesce highlighting the technical detail and information of the exhibit.